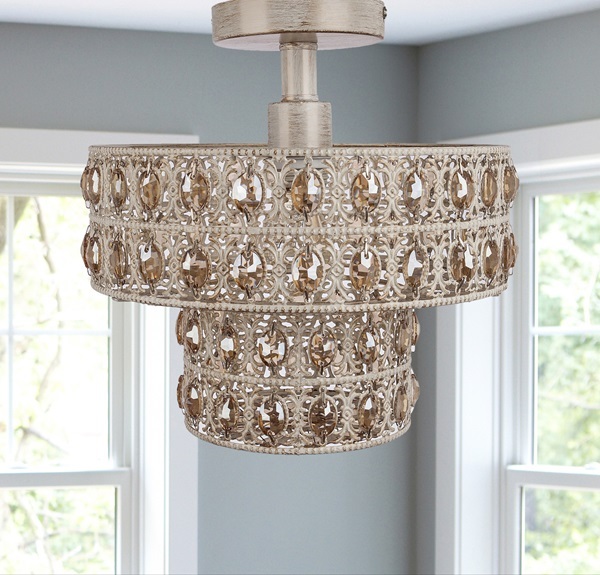 This stunning K-9 crystal, double-tiered semi-flush mount ceiling lamp is full of glam and extravagance; perfect lighting fixture for any room. It features punched metal chrome with clear faceted K-9 crystals. 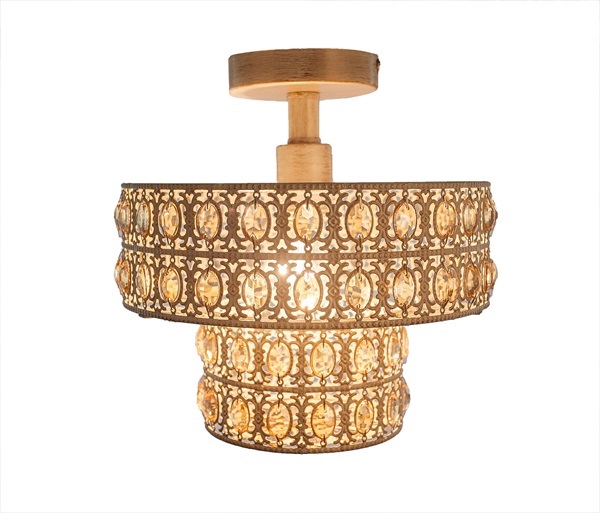 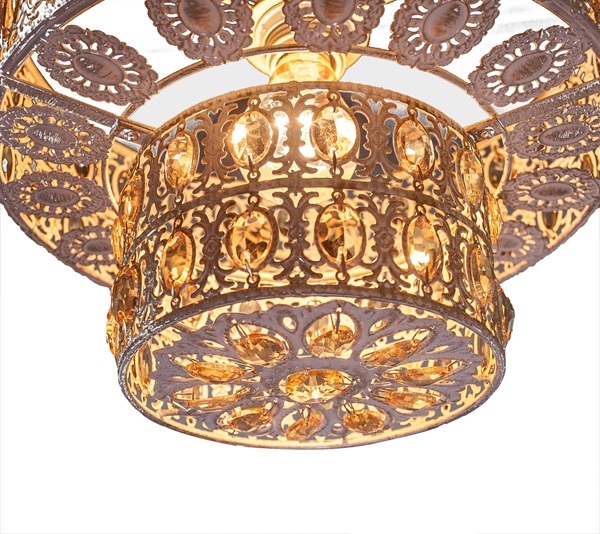 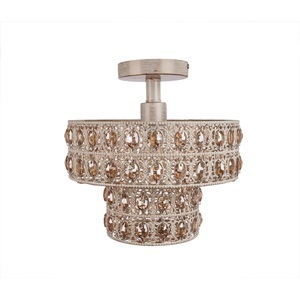 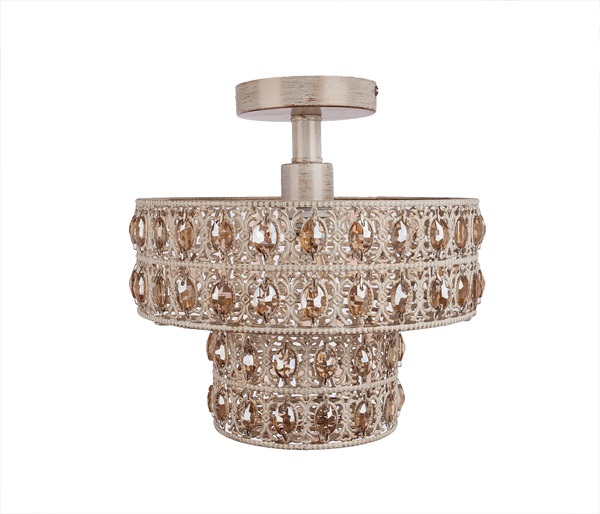 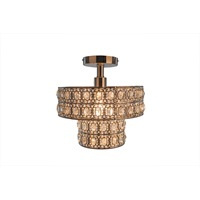 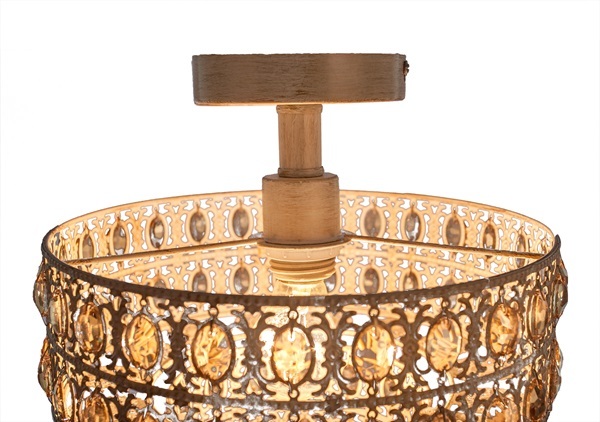 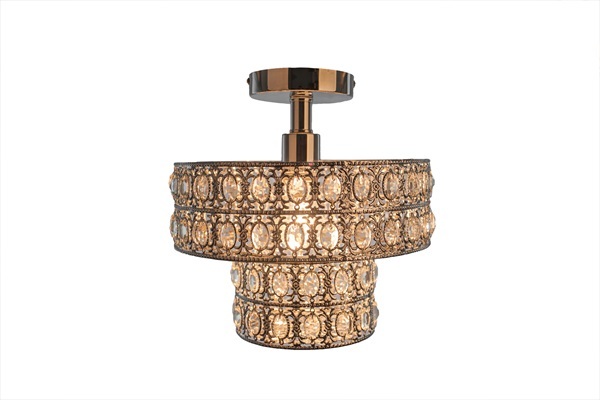 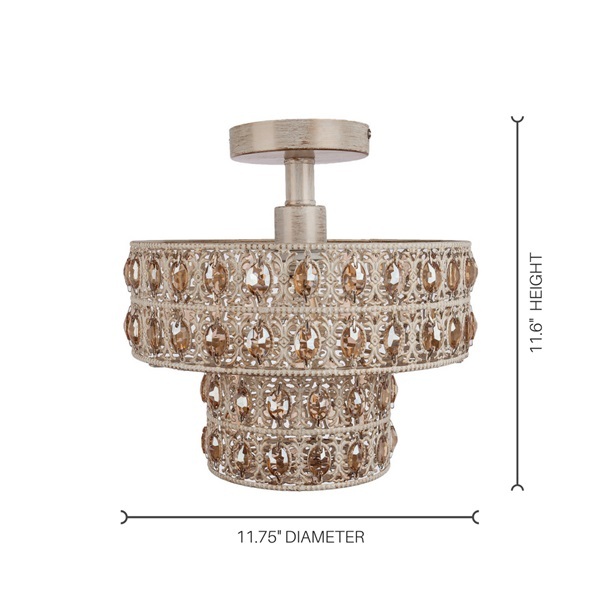 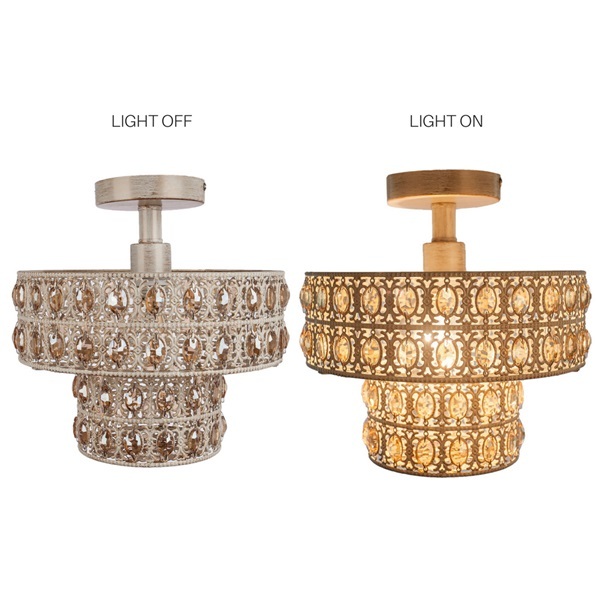 The down light will add glam + glitz to your bathroom, bedroom, walk-in closet or hallway.